Palma de Mallorca is the shimmering island city of Spain. More than 400,000 residents certainly know how to enjoy the splendour that this city offers. Palma de Mallorca offers up a grand Spanish vibrancy that has its visitors wanting to stay forever. Famous tourist attractions include Bellver Castle, Palma Aquarium and Canyon Gates of Paradise. 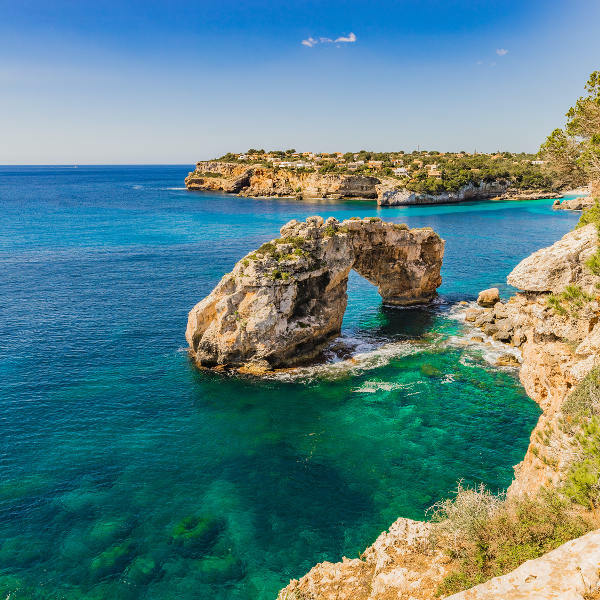 Cheap flights to Palma de Mallorca are now available for a limited period of time, so prepare to fall in love with this beautiful destination. Palma de Mallorca is home of Palma de Mallorca Airport (PMI), located on a 15-minute scenic drive from the city centre. The beaches and promenades in Palma are what beautiful dreams are made of. Portal Vells and Formentor are just two of the 262 perfect beach fronts. 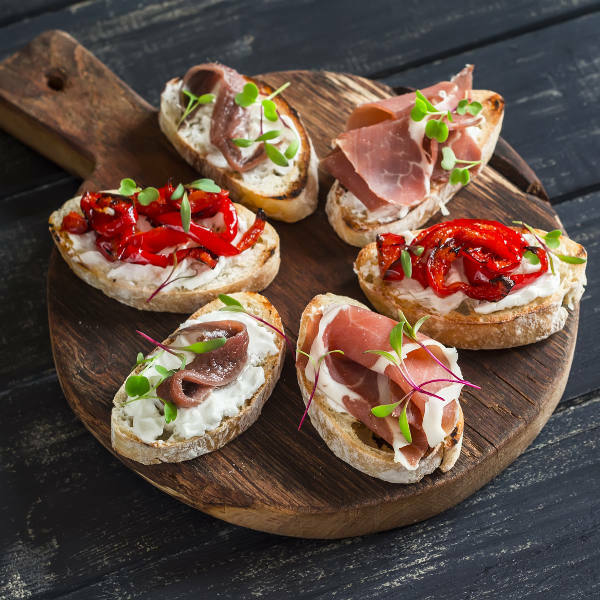 Eat your fill of tapas which are little bites that are packed full of perfectly-crafted flavour, then set off to enjoy some shopping at Plaça Major and Plaça Cort. Mother Nature has certainly blessed this city with beauty. Take a 10-minute boat trip to the islet of Dragonera or spend the day at Canyon Gates of Paradise. With its beautiful Mediterranean climate, Palm de Mallorca is great to visit all year long. It does, however, get very busy over the summer season (June to August) as thousands of tourists and neighbouring cities’ locals tend to visit over this time. This generally means long queues, overcrowded tourist attractions and overpriced everything. It is a better idea to visit in spring (March to May) or autumn (September to November) when not only is the weather much more pleasant, but you would also have better luck at finding affordable flights and accommodation prices. 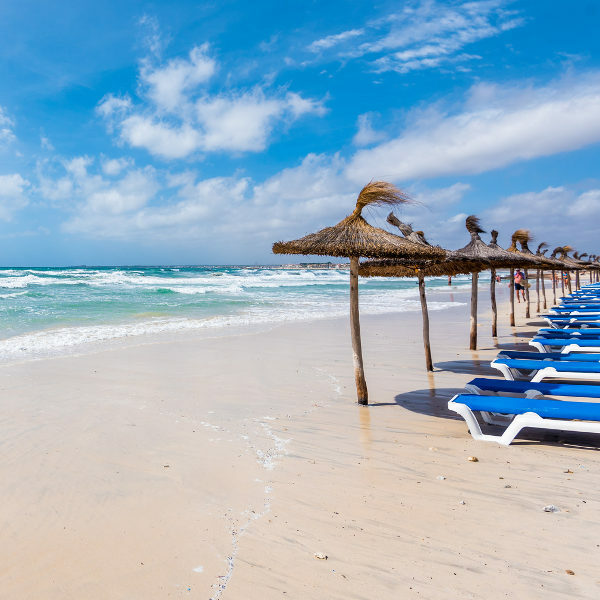 Shades of blue and green dance in the ocean waters while you sip on a drink with the sun on your face – this is the tantalising reality of a trip to Palma de Mallorca. This island city is well known for its beauty and simplicity of life as guests can often spend hours upon hours just strolling along the seaside promenades and streets. Here, the influences from around the world are ever present and you will enjoy splendid views of century-old cathedrals and Arab mosques in all their splendour. Palma is also full of natural beauty and days can be spent on trips to the outskirts, like to the majestic Canyon Gates of Paradise. This oasis is the perfect opportunity to discover little caves, have a light meal of Spanish tapas and then take a dip in the warm Mediterranean waters. Compare several airlines, and book your cheap flights to Palma de Mallorca online at Travelstart! Palma de Mallorca is quite safe, with just the usual minor incidences that occur from time to time so it is always a good idea to keep your valuables out of sight. In the city centre, you should also be aware of the flower sellers as somehow, when they offer you flowers, they often also tend to pickpocket you. Travelling around by bicycle has become more and more popular, but so has the theft of bicycles along with it. If you decide to do your sightseeing by cycling then make sure to lock up all your possessions and try to take the bicycle along with you to your hotel room in the evenings.